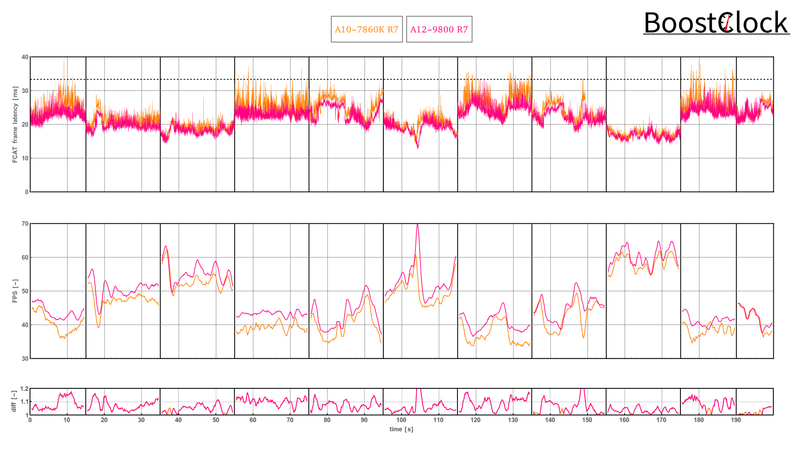 How much faster is the A12-9800 on the dirty mountain stages of Acropolis in Dirt Rally? To benchmark the game we jumped behind the wheel of an AMD liveried Mitsubishi Lancer and contested the Fourketa Kourva Sprint stage in 1080p with low quality preset. 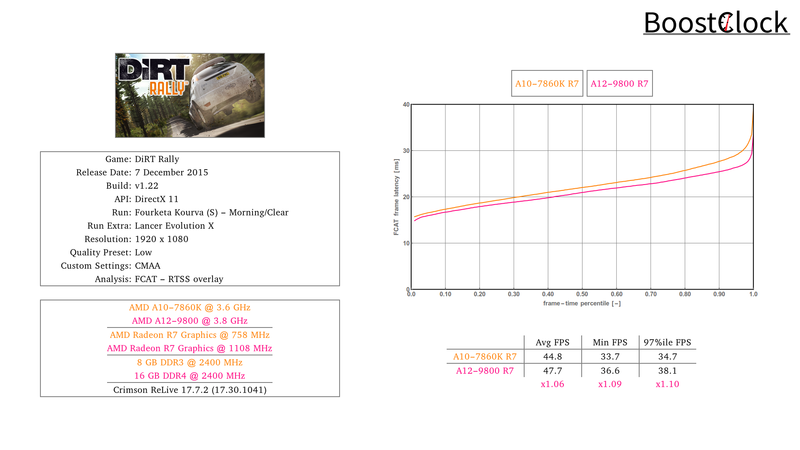 It seems that the A10-7860K doesn't fall behind the A12-9800 that much in Dirt Rally, Bristol Ridge is only 6% faster.